Right off the bat, I’ll say this will be an awkward article. And not in the cute-rainbow-unicorn kind of way. Rather, a more honest and realistic portrayal of what goes on inside the porcelain castle. This is something that affects most people in one way or another. Yep, you’re not alone. Up to 50-70% of travellers are affected by travellers’ diarrhoea (TD) at one time or another. It’s a real thing. Often TD gets disguised by colourful names like “Bali belly”, “Delhi belly”, “Turkey trots”, “Rangoon runs”, “Aztec Two Step”, “The Turista”, “Hong Kong dog”, and “Montezuma's revenge” or described with plain or even daunting names like “Tourist diarrhea” and “Travellers’ dysentery”. Last year only 17% of travellers made a claim on their travel insurance. That’s a lot of money spent for something that is NOT used 73% of the time. But I’ve discovered a different type of insurance that will help protect you against the risk of TD and could save your vacation. Best of all, it’s relatively cheap. What exactly is Travellers’ Diarrhoea (TD)? TD is a clinical syndrome caused by microbial contamination of food and water. E. coli (also called “ETEC”) is the little critter responsible for around 85% of cases, with parasites causing 10% and viruses causing 5%. Hi, my name is E. coli and I like the look of your gastrointestinal tract. Even though it’s our first date, do you mind if I move in? Travellers’ Diarrhoea typically kicks in suddenly during your trip or shortly after returning home. While most cases improve within 1 to 2 days without treatment and clear up completely within a week, in almost one third of cases the symptoms are severe enough to result in bed confinement. It’s also quite possible to have multiple episodes of Travellers’ Diarrhoea during one trip (oh, to be so lucky!). Health tip: If you experience moderate to severe dehydration, persistent vomiting, a high fever, bloody stools, or severe pain in the abdomen, then it's time to see a doctor. Why don’t the locals catch TD? I was always puzzled by that one. But I’ve discovered the answer is simple – the locals already caught it when they were younger. Their near-continuous exposure to harmful bacteria resulted in their digestive systems growing to recognise and tolerate specific strains that outside folks can’t handle. Tolerance can take years to develop, so don’t expect that you’ll have an iron gut after just a few weeks or months in a developing country. 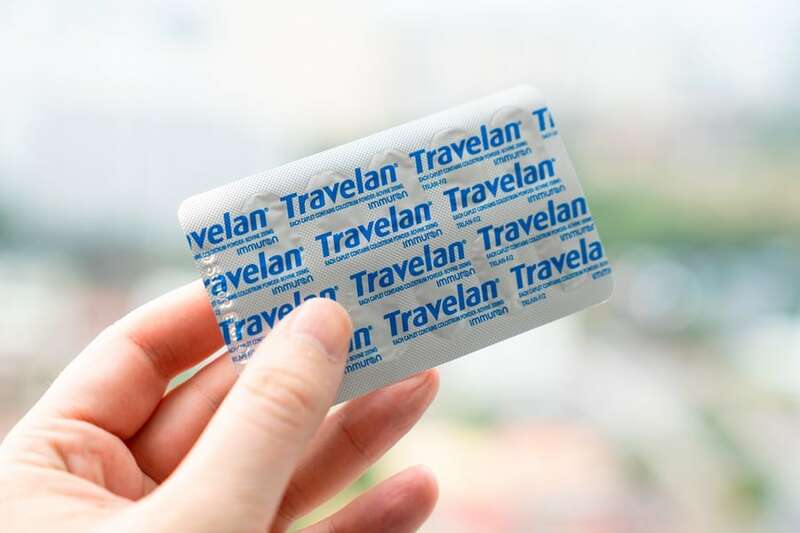 I came across a very clever Australian product by Immuron called Travelan which will protect you against Travellers’ Diarrhoea. 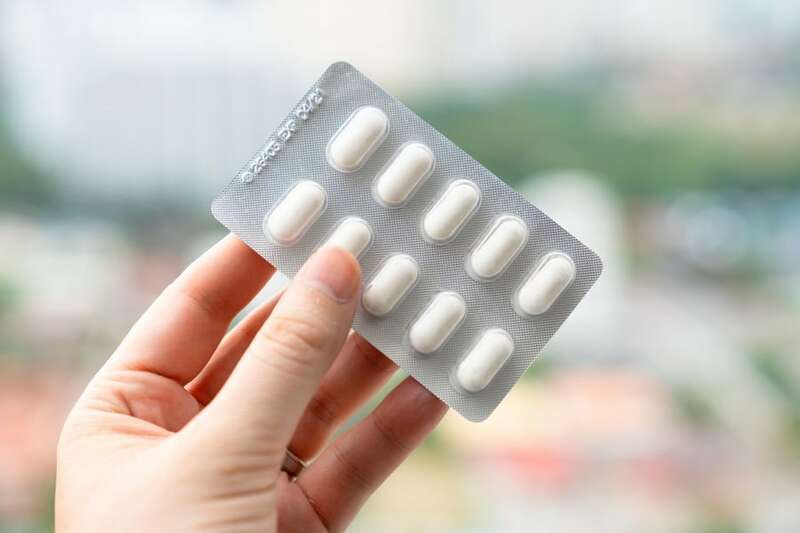 No prescription is required – it’s available over the counter. Simply take 1 caplet before each meal (or snack) with bottled water for up to 90% protection against the bacteria that causes most cases of TD – good ol’ E. coli. This preventative approach is the kind of travel insurance everyone needs. And it’s so easy to use. The special antibodies of Travelan work by laying in your gastrointestinal tract and binding with E. coli bacteria, preventing attachment to the gut wall. Each Travelan packet contains 30 caplets which will last for 10 days. The ingredients are all natural and gluten-free. The lactose and glucose contents are extremely low which is good news for those with lactose-intolerance and diabetes. Note: Australian government authorities advise that caplets are not suitable for small children. So Travelan caplets are not encouraged for children under 6 years of age except on medical advice. 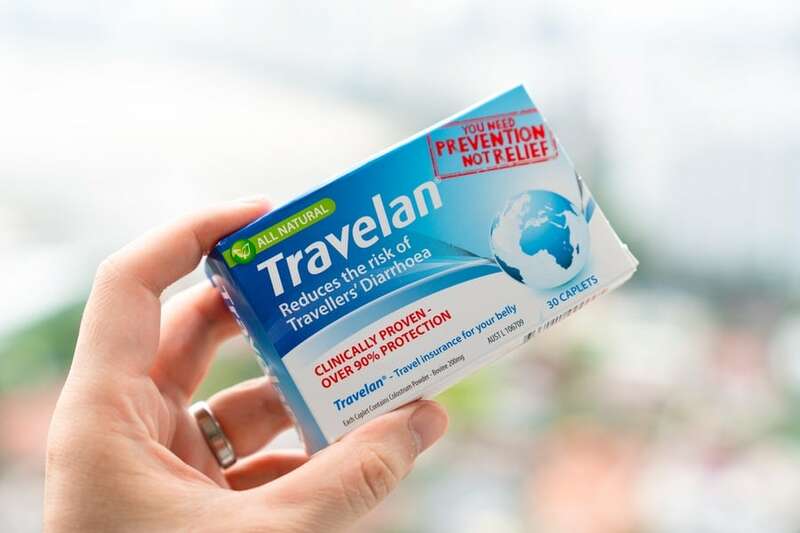 Each Travelan caplet contains 200 mg of the active ingredient, Hyperimmune Bovine Colostrum. There’s a lot of impressive science behind it. If you’d like to dig deeper, here’s a scientific review (be warned, it has a lot of long words). Essentially, select dairy cows in New Zealand are “hyper-immunised” with a patented Immuron vaccine that allows them to produce very high levels of specific antibodies. These antibodies are sourced from the cow’s milk and processed into a powder. 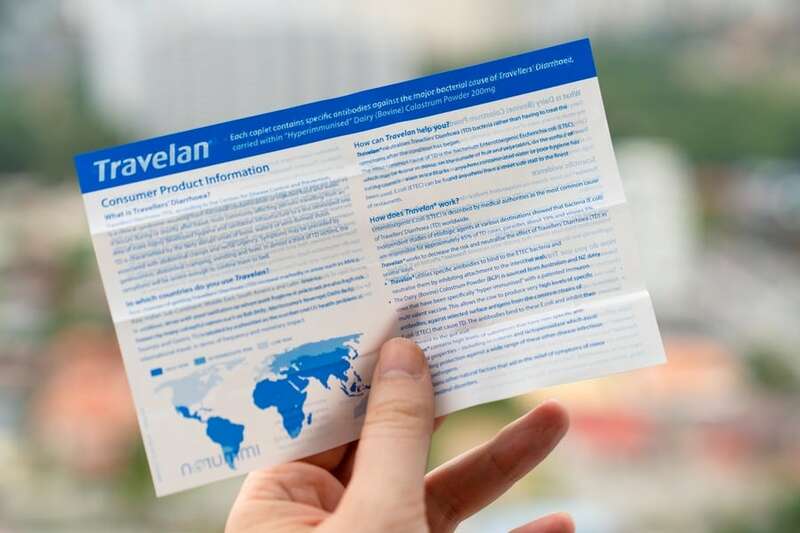 Clinical studies by the US Defence Force verify its effectiveness and Travelan has received approvals by the FDA in the United States and Therapeutic Goods Administration in Australia. Over 600,000 packs have been sold worldwide with no cases of drug related side effects. I’d consider that about as safe as you can get. Prevention is the best cure. Health experts say that good personal hygiene practices (such as washing hands before eating) don’t hurt in the battle against TD but that is rarely the cause. The amount of E. coli required to kick off a serious bout of TD will likely come from drinking contaminated tap water or an unhygienic chef that prepares your food. If the chef doesn’t wash their hands after going to the toilet, shares a chopping board between vegetables and raw meat, undercooks seafood or meat, or food has been laying out for several hours, then your chances of experiencing TD increase dramatically. This isn’t just relegated to street food vendors, but can happen at 5-star hotel restaurants. And it can happen in any country around the world. In fact, my worst case of TD occurred in a 5-star hotel in Australia! Street food in Bangkok… no problems! Be sure that all foods you eat are thoroughly cooked and served steaming hot (at least 60° Celsius). Never eat raw or undercooked meat or seafood. Choose a restaurant with high customer turnover, as the food will likely be fresher. Avoid raw vegetables, and eat only fruit that you peeled yourself. Drink only bottled water, even for brushing teeth. Avoid ice made with tap water. Wash your hands after using the toilet and before eating or preparing food; if soap and water is not available, carry alcohol hand gel with you. There’s also a lot of misguided information around the causes of Travellers’ Diarrhoea. Here’s a few things that do not cause TD, but are often blamed: change in diet, tropical climate, street food, aeroplanes, pollution, spices, and Donald Trump. I would never discourage being adventurous with your food when travelling – after all, food is culture. 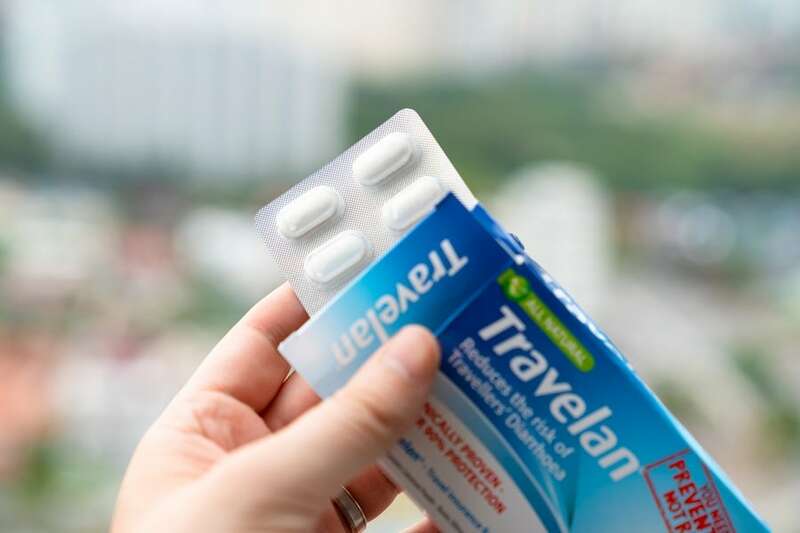 Popping a packet of Travelan in your bag means you can try new foods with more peace of mind. 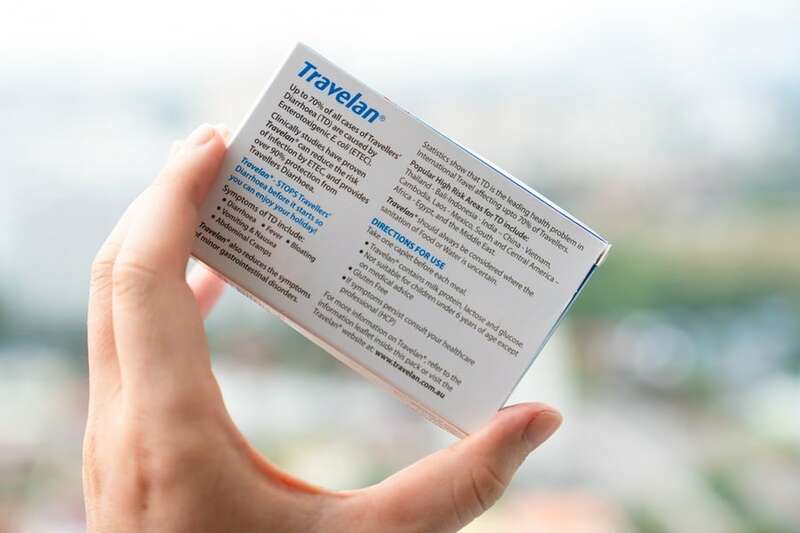 Travelan is one part of a multi-pronged strategy to help keep you healthy during your travels. It’s so easy and affordable, I now happily recommend it to everyone. And if you’ve read this far, then here’s a hearty congratulations for reading 1000 words about poop. Hopefully I wasn’t too awkward. Now that you feel a little more confident about eating when overseas, the next question is… where to go?